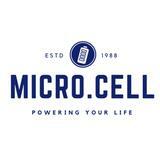 microcell Great Buyer to deal with, hassle free transaction. Thank you for your support. @yanti_rohaida is on Carousell - Follow to stay updated!